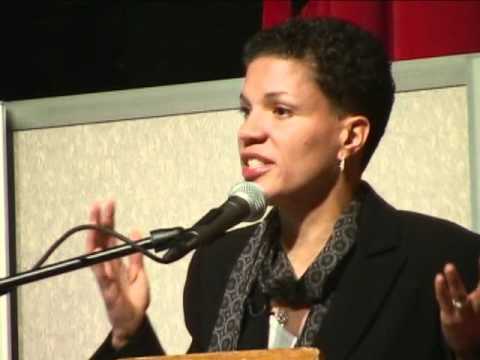 Legal scholar Michelle Alexander argues persuasively we have not ended racial caste in America; we have merely redesigned it. Jim Crow and legal racial segregation has been replaced by mass incarceration as a system of social control. —More African Americans are under correctional control today than were enslaved in 1850— Alexander reviews American racist history from the colonies to the Clinton administration, delineating its deliberate transformation into the war on drugs. She provides analysis of the effect of this mass incarceration upon former inmates who will be discriminated against, legally, for the rest of their lives, denied employment, housing, education, and public benefits. Most provocatively, she reveals how both the move toward colorblindness and affirmative action may blur our vision of injustice. She spoke at Riverside Church in Manhattan May 21, 2011.